Groundwork for the overseas expansion of the ELFA brand started in the mid-1990s, with numerous business and study missions to China initiated by International Enterprise (1E) Singapore, the government agency driving Singapore’s external economy. In 2001, CEG set up the first ELFA preschool in Binzhou, Shandong Province. The first batch of teachers for ELFA China was groomed by experienced and qualified lecturers from the Group’s own early childhood teaching training arm, KLC International Institute in Singapore. The ELFA curriculum complies with local educational requirements to prepare children for formal schooling and has been well received by local parents. Today, we are a trusted preschool brand in China, with over 10 centres accredited as Provincial Model Preschool. ELFA is among the first Singapore preschool brands to venture into the China market. Since opening our first centre in Binzhou, we have expanded steadily, from the coastal areas tothe inland regions. 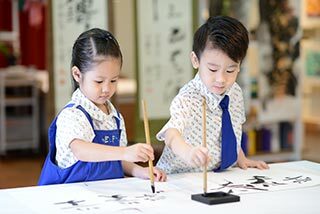 We are now one of the largest Singapore preschool brands in China, with a network of more than 30 centres. Collaboration with local businesses has taken our presence to over 19 cities, including prime city locations across China. A team of more than 1,500 trained staff and teachers oversees the operation of all ELFA centres as well as the care and education of over 6,000 children. ELFA works closely with local and international developers as well as prominent business partners who are committed to providing high quality educational services and learning environments to children. Known for our stringent adherence to quality and standards, we have become a partner of choice for those looking to set up a strong local learning environment that provides a blend of advanced international educational concepts and multicultural experiences for young learners. The quality of ELFA is well recognised. 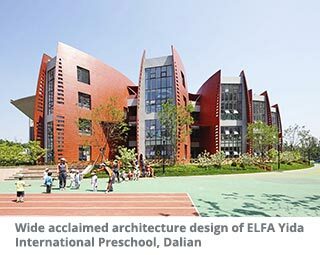 In China, nearly 70% of ELFA preschools have received Grade 1 certification for quality by the local authorities. Of these, 12 ELFA preschools have been conferred the coveted Provincial Model Preschool award which represents attainment of the highest standard in school management and education quality within their respective provinces. In Singapore, ELFA was awarded the Singapore Preschool Accreditation Framework (SPARK) Certificate in 2012, a quality assurance award conferred by the Singapore Ministry of Education. It recognises preschools with strong teaching and learning pedagogies that support children’s holistic development in an environment conducive for learning. ELFA was recertified as a SPARKS centre in May 2015.